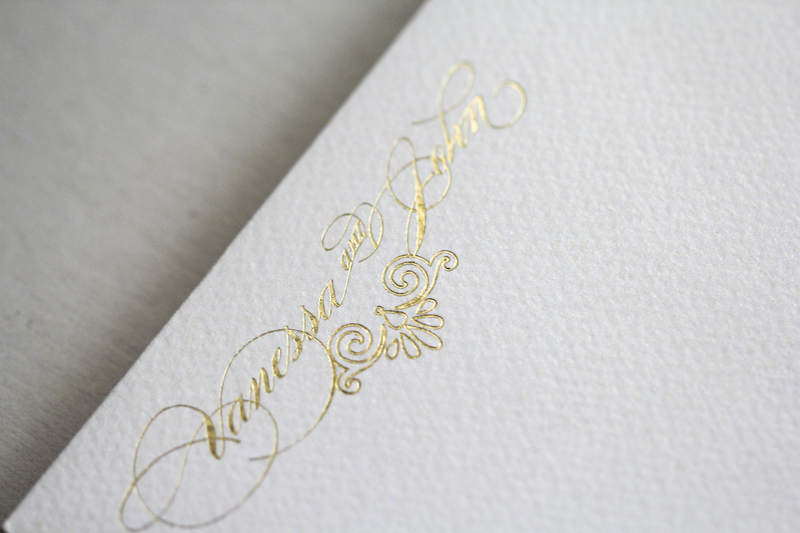 Sophisticated, palatial elegance with an old-world, European feel. 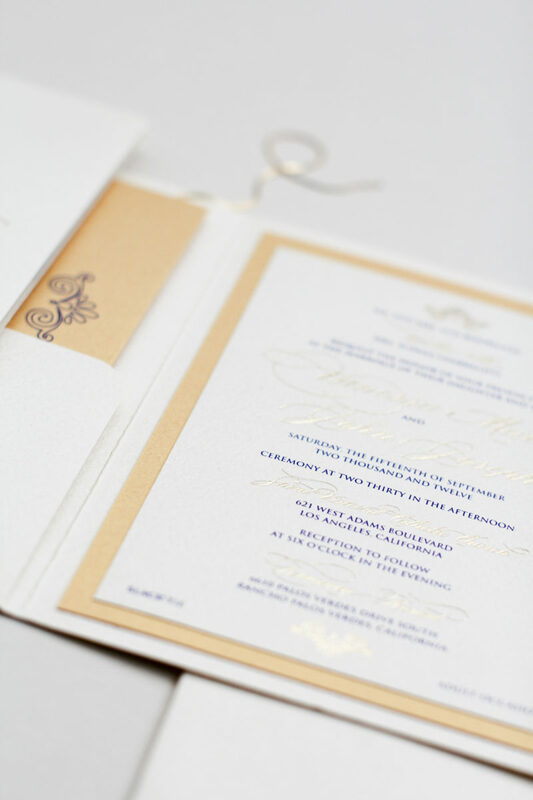 A refined palette of royal blue, gold and ivory with updated fleur-de-lis accents. Storybook folio with tiered foil, gold-pressed inserts. 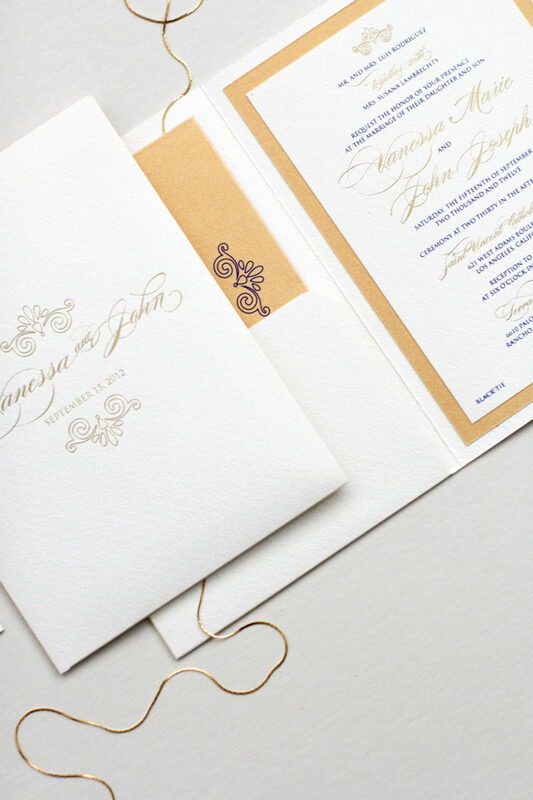 Shown as designed for Vanessa & John at The Terranea Resort. 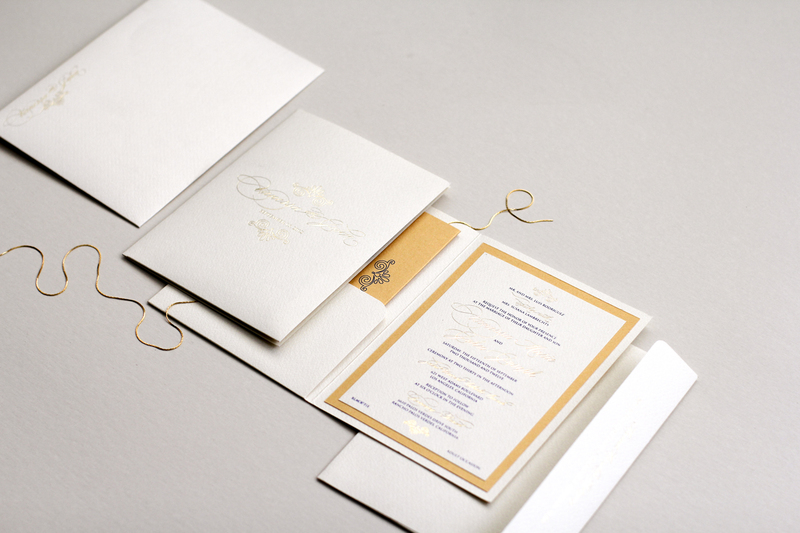 Storybook Folio with tiered gold foil pressed inserts.